Baseball bags are not just for your baseball bats. Think of all of the other equipment you need during your practice or games. These include glove, balls, batting gloves, helmet, mouth guard, uniform, change of clothes, and so forth. 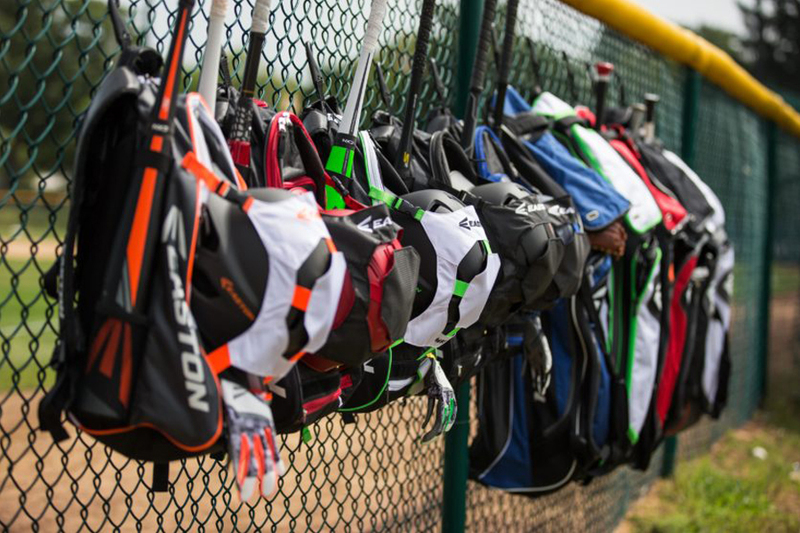 As you add up everything that you need to carry, a baseball bag becomes more of a necessary. The following baseball bags are made of the highest quality on the market and will make your baseball experience more enjoyable. 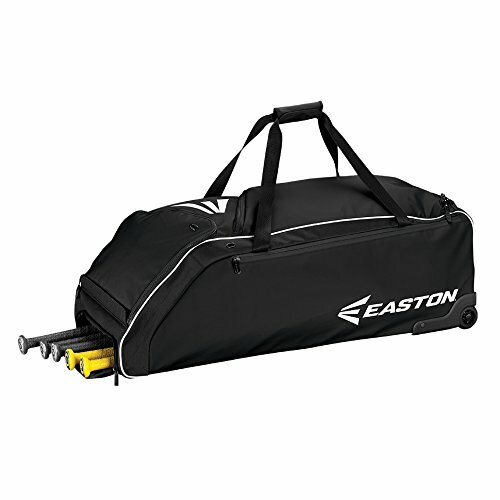 The Easton Stealth Core Catchers Bag is designed to carry your catcher’s equipment. However, even if you are not a catcher, the bag is very roomy and could be used by any dedicated baseball player with a need for a roomy baseball bag. The bag comes in four different color options including: black, red, navy, or royal. The Easton Stealth Core Catchers Bag has a large main compartment with a U-zip access for leg guards. The end pockets will easily secure your helmet and mitt. There is a cleat tunnel to hold your cleats to prevent your bag from getting dirtier than necessary. The Easton Stealth Core Catchers Bag has a side pocket that will fit your chest protector. 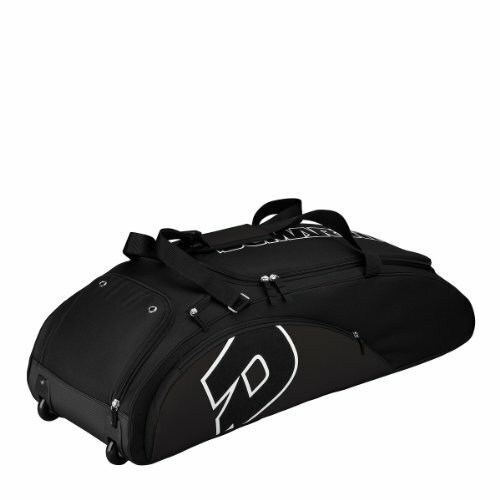 This baseball batting bag also has in-line skate wheels to help you transport your bag from place to place. The Easton Stealth Core Catchers Bag has a separate sleeve that can hold two bats. For support and comfort this baseball batting bag has bottom rails. The DeMarini Vendetta Bag with Wheels will allow you to carry your heavy baseball equipment with ease. The bag comes in nine different colors including: black, purple, dark green, maroon, navy, orange, royal, scarlet, or black/navy. Instead of having the usual black baseball bag, set yourself apart from your teammates by personalizing your baseball bag. The DeMarini Vendetta Bag with Wheels has an extra-large main compartment to fit all of your necessary equipment. If you are a pitcher or catcher you will certainly appreciate this feature. The DeMarini Vendetta Bag has a vented shoe compartment to hold your cleats, which will also prevent the inside of your bag from getting dirty. This baseball bag has an insulated water bottle pocket and a side pocket for accessories. These pockets will allow you to hold your I-pod, phone, keys, or other necessities, keeping all your important accessories close by. The separate bat compartment holds up to six bats. The DeMarini Vendetta Bag has durable urethane wheels that will last for years allowing you to transport your baseball bag easily. The Louisville Slugger Equipment Bag is a great bag that will allow you to carry all of your baseball equipment with ease. The baseball bag is offered in two different colors: black or navy. The Louisville Slugger Equipment Bag holds two 35 inch bats in the bottom loading bat compartment. The baseball bag is made with 600 Denier polyester. Polyester material is stain resistant and is more durable. The Louisville Slugger Equipment Bag has a handy shoulder strap that will allow you to carry the bag over your shoulder instead of having to only use the handles. The handles on the Louisville Slugger Equipment Bag was designed for your ultimate comfort. There are dual carrying straps with a blank back side allowing you to personalize the bag. The Louisville Slugger Equipment Bag also has dobby nylon accents to make the bag more stylish.